The Glenview Stars U10 girls captured the All American Girls Tournament championship in Minnesota November 16-18. 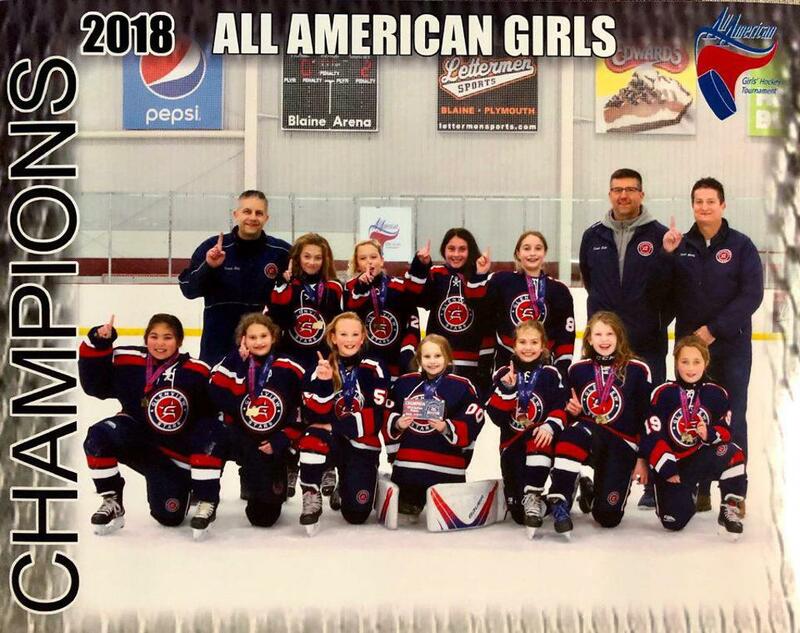 The Glenview Stars U10 Girls team captured the All American Girls Tournament in Minnesota over the November 16-18 weekend in spectacular fashion with a 2-0 victory in the finals over Woodbury Royal. The Stars defeated Mirage Blue and CPCR Red on Friday, and had to then face a tough Roseville Raiders team on Saturday. The Stars prevailed against Roseville, pulling away at the end with a 7-1 victory in a game that was much closer than the score indicated. Led by the outstanding goaltending of Hazel Kirwan, the Stars played with confidence and great urgency throughout the tournament. The stellar defensive play of Ryann Fogarty, Fiona Napolitano, and Tate Roth made it tough on opposing players, while forwards Tabi Biscuola, Carolyn Bomely, Frankie Esposito, Anna Mathias, Nicole Rogers, Sofia Rubsam, and Mary Vergamini played great on all ends of the ice to truly help complete a great weekend of hockey. For many of these girls, this tournament marked their first out of town hockey tournament and the girls showed both their parents and coaches that they truly were able to adapt. It was a fun weekend of hockey and bonding for the U10 girls up in the great State of Hockey. They left us all extremely impressed and proud of their efforts. Great job girls!